My drawings, sketch books and rough studies help to build a painterly story, they come from within, expressing many layers that sometimes I have to walk away from, find time to reflect, and then return. For me they are ‘reflective landscapes’. 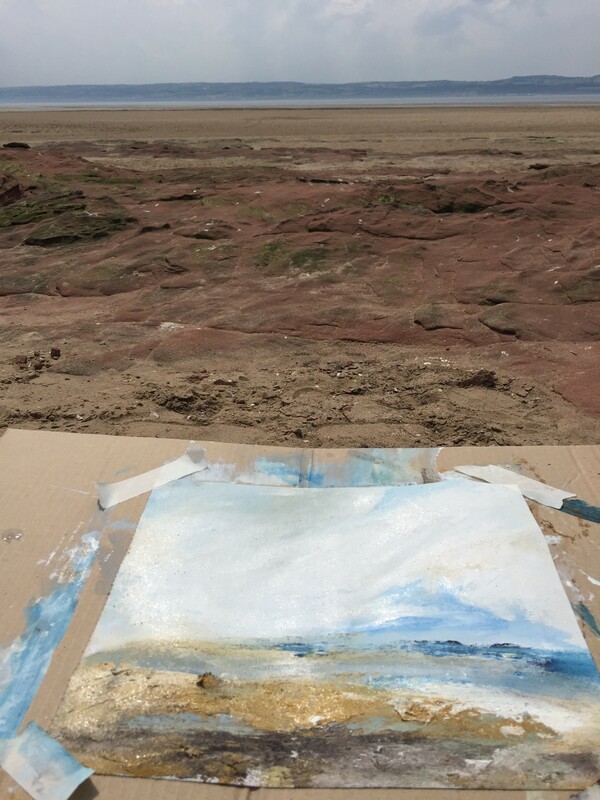 A small program of Reflective Landscape Workshops will be held on Hilbre Island in the Dee Estuary over the summer months. Interview by curator Gina Schwarz from Dot-Art Liverpool asking questions about what inspires me as an artist. Read the article here. From 14-29 July 2018 the former George Henry Lees department store will be transformed into a temporary exhibition space to offer a unique snapshot of modern figurative and abstract painting in Liverpool. The exhibition will occupy the ground floor of the historic store building which first opened in 1897. 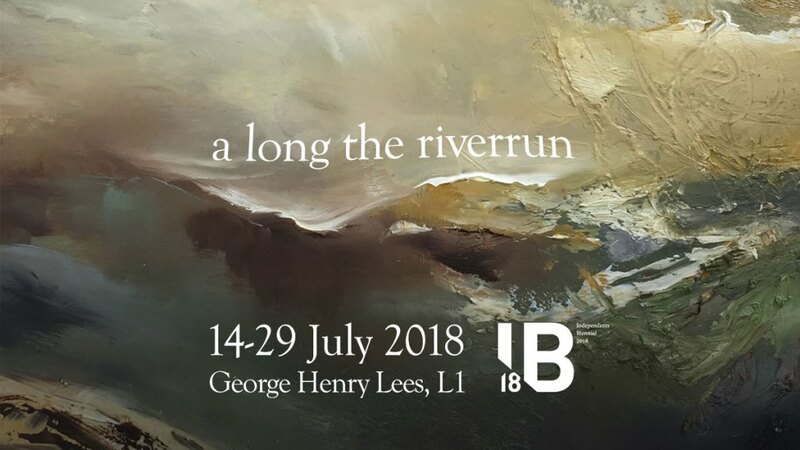 The Independents Biennial 2018 is the fringe event for the 10th Liverpool Biennial, the UK’s Biennial of contemporary art. The Independents Biennial is led by Art in Liverpool, the city’s leading independent art news website and magazine. The Wirral Open Studio Tour is an event in which artists invite the public to visit their workshops and display spaces. apo art studio will be open during the tour from 10am to 5pm. I will be showcasing a collection of recent work along with work from local artists Helen Cooper and Aly Briggs. Come along and have a browse in a relaxed environment. I will be exhibiting three pieces of work at the Liverpool Art Fair . 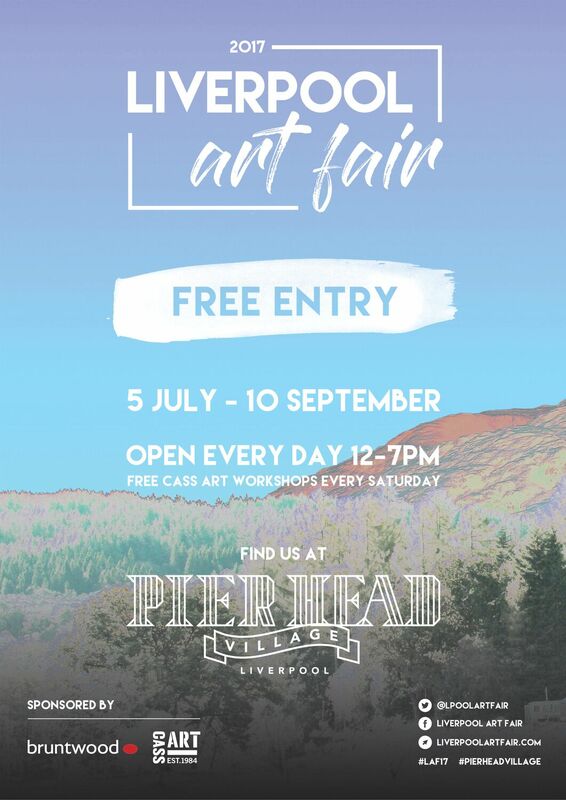 The art fair takes place in a purpose built art gallery, situated in a unique setting, on Liverpool Waterfront for the entire summer, giving talented local artists the opportunity the showcase their work to a huge audience of locals and tourists. Pier Head Village L3 1BY, open every day 12-7, free entry. DREAMERS AND CREATORS: An opportunity to network with other creative minds helping to shape cultural and creative future. Hosted by Williamson Art Gallery. 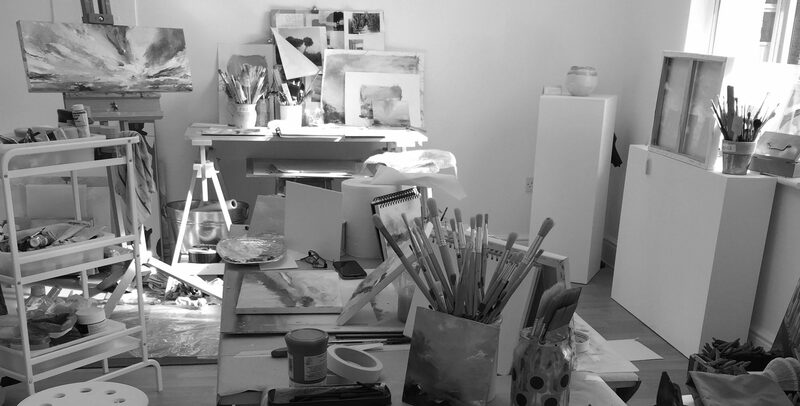 The Wirral Open Studio Tour is an event in which artists invite the public to visit their workshops and display spaces. apo art studio will be open during the tour and I will be showcasing a collection of recent work. Come along and have a browse in a relaxed environment. Read Portrait of an Artist in Cultured Wirral magazine. The Cheshire Art Hub is a lovely gallery space in a fabulous setting at the Lady Longthorne Gallery in Burwardsley. The gallery has a rotating exhibition programme and has been recently refurbished offering great light and spacious layout. The gallery will act as the festival heart beat as it is right in the centre of Cheshire countryside. The theme of the show is celebrating local artists and the landscape, stretching as far as North Wales, Wirral and Shropshire. Showcasing the second series of ‘Reflective Landscape’ inspired artwork – featuring unique pieces of sculpture by Helen Cooper and ceramics by Aly Briggs. There is a sense of spiritual solitude when you stare out into a sea, looking beyond the horizon, a desire to discover more. This series of black and white paintings on paper are an attempt to capture fragments of time and place, painting within the landscape of Cape Cornwall, Sennen Cove and on location in a barn in Newbridge. 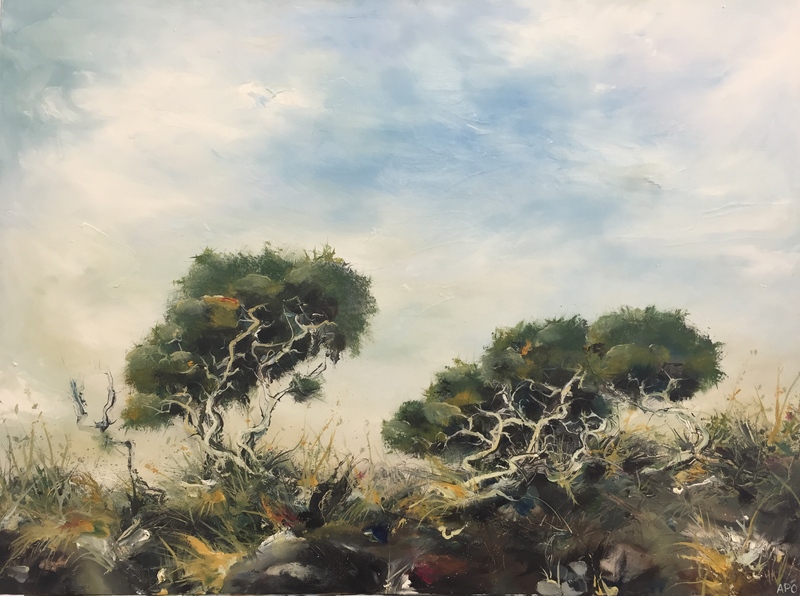 They are the inspiration for a new body of work ‘Reflective Landscapes’ transfering the elements of that moment onto canvas using colour, thick brush strokes, oils, acrylics and charcoal. The result is a series of paintings that are all absorbing, full of energy and yet, soulful, moody and mindfulness. Thank you to everyone who visited this years Wirral Open Studios. 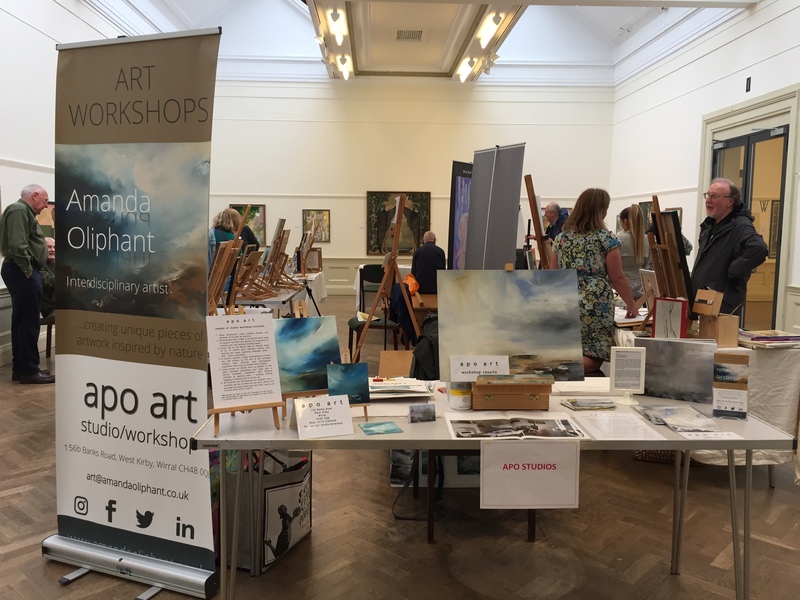 The artists in different venues attracted hundreds and hundreds of enthusiastic visitors, making it another fantastic and successful calendar event. A special ‘thank you’ to Xitina Ferres for hosting me. It was a great weekend. A special feature of the Festival is Art on the Promenade along the 2 mile stretch of the Hoylake promenade, featuring works of art from 100s of artists as well as other exhibits and displays of interest. In 2013, we had perfect weather and the outdoor exhibits and associated entertainments were very popular – appreciated by artists and visitors alike! In 2014, we expect to extend the display of art further along the 2 mile stretch on Sunday 13th July 2014, show casing a diverse range of professional and semi-professional work. From 5th – 20th July 2013, the third Wirral FESTIVAL OF FIRSTS was staged in Hoylake. Over the 15 days, the Festival Programme included over 700 musicians and singers, 100 poets and 300 artists taking part in a wide variety of events. There is no other festival in the UK to feature so much talent and so many events. The aim was to continue to develop the Festival into an international event. As well as staging the annual event, another aim was to create legacy; to benefit the local community, to raise the profile of Hoylake, and to increase the footfall to Hoylake’s attractions, services and shops. I exhibited a selection of pieces in GALLERY HOYLAKE art trail along with ART ON THE PROM on the Sunday.